John Eiskamp is a sixth generation farmer that has been farming conventional raspberries and blackberries since 1989. In that time, he has expanded from farming 9 acres to 235 acres near Watsonville, California, in the Pajaro Valley. 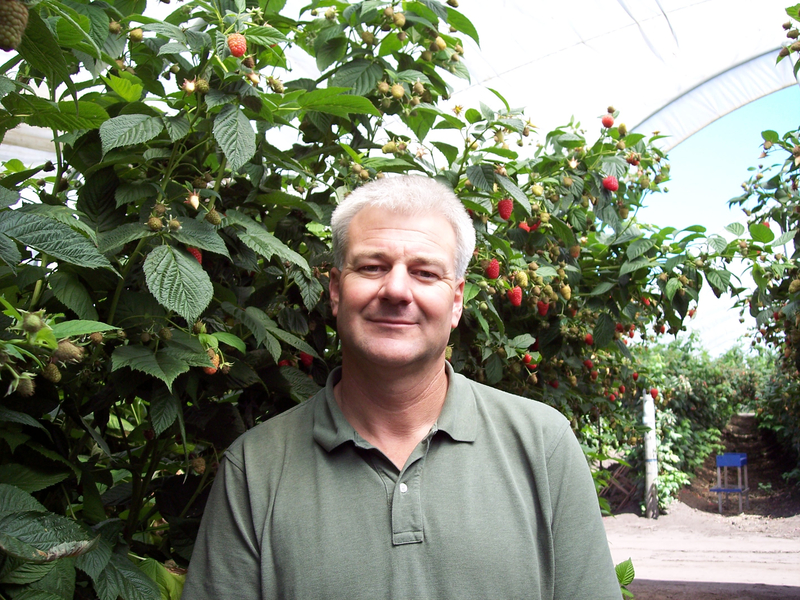 John’s berry growing experience dates back to 1976 when he worked during summer vacations for his grandfather, George Cowles, who also grew raspberries and blackberries. After earning his degree in Plant Sciences from Fresno State, John’s grandfather provided him with the opportunity to start his own business growing berries for Driscoll’s. 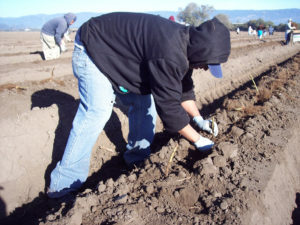 California’s Central Coast is a unique agricultural region where virtually all irrigation in agriculture is reliant on quality groundwater and farming accounts for about 85% of the total usage of the basin aquifers. Groundwater is an especially important and limited resource in coastal agricultural regions because over-drafting the basin has caused coastal communities bordering the ocean to face seawater intrusion in coastal freshwater aquifers. Regulations for growers are increasing around, not just surface water quality, but also runoff and groundwater quality; the declining groundwater has enabled seawater to move inland into underground aquifers contributing to saline groundwater unsuitable for irrigation. In an industry facing increasingly complex water quality issues, Mr. Eiskamp serves as a reputed leader in water quality and California agriculture. John has been involved with the Community Water Dialogue (CWD) since its beginning in 2010. CWD began in an effort to maintain water as a resource with the goal of reducing pumping in aquifers to use less water, recycle water, and reduce the pumping of water from the basin. For the past 7 years, John has been working with the Hortau Network, a wireless soil tensiometer system that transmits real- time field soil tension measurements to an on-line irrigation monitoring system to assist the grower with knowing when and how much irrigation is ideal for the crop. The Hortau Network relies on wireless field sensors that transmit data to a nearby tower that is then accessible to a grower via computer. The CWD realized the value of such an arrangement and proposed creating a system of these Hortau towers, known as the Wireless Irrigation Network (WIN), so that growers throughout the valley can have access to this technology without having to invest in their own tower. 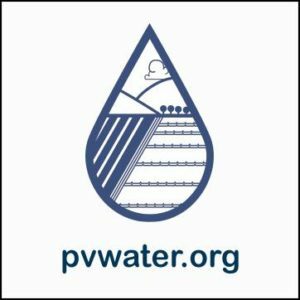 The Resource Conservation District of Santa Cruz County (RCD) got involved to help launch and fund the WIN project, along with a large amount of funding that came in the form of community sponsorship from local citizens concerned about the future of water sustainability in the Central Coast. WIN growers can access monitoring sensors through an affordable monthly rental program and growers can also receive a volume discount on equipment. The addition of more WIN stations and technology has made the system even more useful and adaptable for the region’s farmers; however, some growers still remain unaware of community water issues and the option of adapting the WIN program on their land. For the last 10 years, John has been working with irrigator Eduardo Lopez who now uses the data from the Hortau Network to make day-to-day irrigation decisions. Each week, John and Eduardo meet to determine best management practices and lay out irrigation plans. WIN allows for better gauging and monitoring tools while teaching the grower to interpret the data results mapped out in the system and make irrigation decisions based on real-time activity. With the Hortau Network, growers can better reduce water inefficiencies by adjusting irrigation levels to the specific needs of the plant. In addition, growers can fertilize the plant at the root zone which reduces fertilizer runoff inefficiencies that contaminate ground water. John feels that for more growers to invest in the WIN program, additional education and outreach is needed to teach people about the importance of the program benefits. “A broader variety of crops and growers need to be involved in the network and we need to continue the dialogue to publicize the availability and usefulness of this program,” he said. John runs a successful year-round operation where he and his skilled staff harvest berries on the ranch seven months of the year. 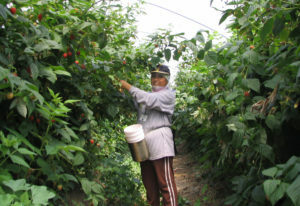 By providing an equitable hourly wage, piece rate, and pleasant work environment, many of John’s seasonal employees return year-after-year already trained to pick and pack the berries in accordance with Driscoll’s quality standards.